A Clemson University scientist is sending his research on the cotton genome into outer space after being selected as a winner in the Cotton Sustainability Challenge. Christopher Saski, associate professor in the plant and environmental sciences department, is the principal investigator on a project that seeks to explore the cotton genome and how it reacts in microgravity and normal gravity. The Cotton Sustainability Challenge, run by the Center for the Advancement of Science in Space (CASIS) and sponsored by Target Corp., provided researchers and innovators the opportunity to propose solutions to improve crop production on Earth by sending their concepts to the International Space Station (ISS) U.S. National Laboratory. CASIS announced Monday the selection of three projects as winners of the challenge, which sought potential solutions to benefit cotton production by improving water sustainability. Through the collaboration, CASIS and NASA will facilitate hardware implementation and in-orbit access to the ISS National Lab, while Target will provide grant funding for selected proposals. Saski’s project proposes to examine gene expression, DNA methylation patterns and genome sequences of embryogenic callus material that respond differently to regeneration in tissue culture during the process of regeneration under micro- and normal gravity environments. This innovative approach could have the potential to unlock the phenomenon of genetic recalcitrance (resistance) to regeneration, advancing fundamental biological knowledge and can have translational impacts to other plant species that are critical to global agricultural sustainability. “Dr. Saski’s proposal is such a novel idea and epitomizes the goal of our department’s research, which is translational, problem-solving science to advance crop agriculture in South Carolina and beyond,” said Paula Agudelo, interim associate dean of research and graduate studies for Clemson’s College of Agriculture, Forestry and Life Sciences. Saski’s transdisciplinary team of investigators includes Li Wen, a scientist from Changsha University of Science and Technology in China and a visiting scholar at Clemson University; Shuangxia Jin, a renowned cotton scientist at Huazhong Agricultural University, also in China; and Jeremy Schmutz, a faculty investigator at the HudsonAlpha Institute for Biotechnology. “Space science provides unprecedented opportunities for the study of molecular biology where we can investigate the molecular mechanisms of life development and growth regulation from a unique perspective aboard the ISS,” Jin said. On the space station, a variety of physical and biological phenomena can be tested in ways not possible on Earth. “Microgravity is a unique trigger that alters epigenetics and gene expression and will have a profound influence on understanding the genetic programs of plant regeneration,” Wen said. HudsonAlpha Institute for Biotechnology, located in Huntsville, Alabama, is a nonprofit institute dedicated to developing and applying scientific advances to health, agriculture, learning and commercialization. “We will apply our experience to produce a novel reference genome of cotton and apply genomic tools to compare gene expression changes between space and earth plants, along with epigenetics, which are subtle accumulated changes to the functioning of DNA,” Schmutz said. The research aims at solving a quandary that affects everyone: No tractable solution is in place to satisfy the growing demand for fuel, food, and fiber as the global population continues to expand. Better understanding gene function and the use of genome engineering technology has the potential to change the lives of everyone and everything on the planet. “Dr. Saski’s work on plant transformation in zero gravity has significant implications for crop improvement; this is a very exciting opportunity,” said Tim Boosinger, interim dean of the College of Agriculture, Forestry and Life Sciences. In 2005, Congress designated the U.S. portion of the International Space Station as the nation’s newest national laboratory to maximize its use for improving life on Earth, promoting collaboration among diverse users and advancing STEM education. The unique laboratory environment is available for use by other U.S. government agencies and by academic and private institutions, providing access to the permanent microgravity setting, vantage point in low Earth orbit and varied environments of space. The challenge provided researchers a novel way to leverage microgravity to evaluate avenues for more sustainable cotton production. 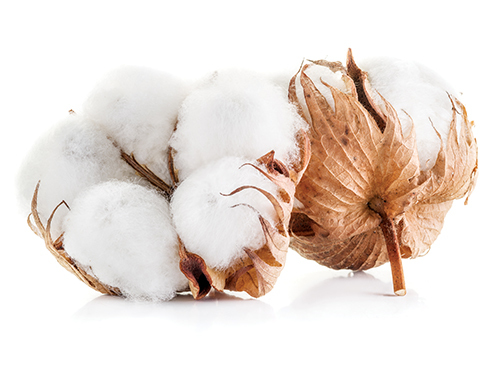 Cotton is a natural plant fiber produced in many countries and one of the most important raw materials required for the production of textiles and clothing. Cotton cultivation requires sustainable access to natural resources like water that are increasingly threatened. This challenge sought to engage the creative power of the research community to leverage the ISS National Lab to innovate and generate ideas that will improve the utilization of natural resources for sustainable cotton production. CASIS is the nonprofit organization selected to manage the ISS National Laboratory with a focus on enabling a new era of space research to improve life on Earth. In this innovative role, CASIS promotes and brokers a diverse range of research in life sciences, physical sciences, remote sensing, technology development and education.